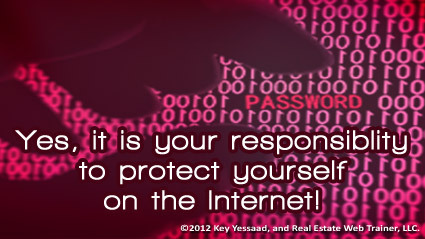 The state of internet security and passwords in 2012, going into 2013, is still dismal – yes the number one (#1) hack-able password is still, you guessed it, ‘password’ followed closely by his best friend, come into my computer and steal my identity, favorite of some many ‘123456’. Here the list of their other friends in tow, #3 is ‘12345678’, #4 is the loveable ‘abc123’, and not to be outdone at #5 we have the huggable ‘qwerty’. By the way these are the most used passwords on the internet today – shocking!. 5. finally either start or end it with a number and a special character; as in: 17meEtloaph! This alone will give you a strong password, one that will retain an emotional connection to you which will help in your recollection.